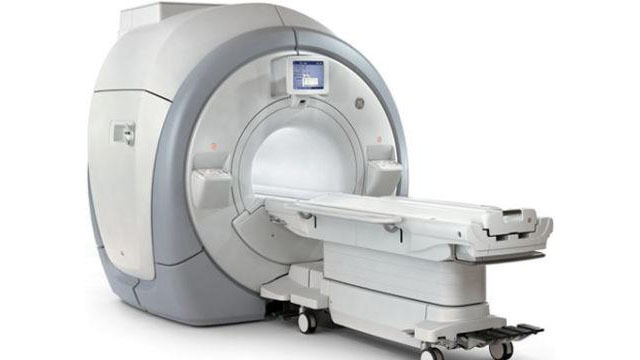 Politicians on both sides of the divide are presently engaged in a sparring match over the use of the Magnetic Resonance Imaging (MRI) service at the St. Kitts Biomedical Research Foundation. Members of the Opposition St. Kitts and Nevis Labour Party have expressed concerns that instead of the government purchasing the piece of radiology equipment for the JN France hospital, the Team Unity administration entered into a partnership with the private institution where patients use the same machine as monkeys. Labour Party candidate for constituency 8 Dr. Terrance Drew voiced his concerns at a recent political meeting, after Minister of Health Eugene Hamilton, his political rival, confirmed that monkeys and human beings are sharing the machine, and suggested that despite Dr. Drew’s criticism of this, he accounted for the most patient referrals to the facility. “I want it to be clear and for the people of St. Kitts and Nevis to understand that what is taking place with the MRI is a travesty. Where else in the world and especially developed countries and the western countries are human beings forced to share an MRI with monkeys. Where in the world? Only in St. Christopher. “Where in the world is the minister of health saying to the people that it is okay for you to share an MRI with monkeys because after all you are 98% monkey and the monkey is 98% human being? Only in St. Christopher. “But the issue with the MRI is really about a man and his family to make millions of dollars at your expense, at your health, so that they can fill their pockets; but they don’t really care about you. I’m sure you all know who the man is. That is what is at the bottom of the MRI scandal. Federal Minister of Foreign Affairs, Nevis Premier Mark Brantley joined the fray, taking to social media to question Dr. Drew’s motivation for criticizing the MRI arrangement. Premier Brantley also noted that during the Labour Party’s 20 years in office when the country earned well over a billion dollars from the Citizenship by Investment program, there was no investment in an MRI facility. Labour MP Konris Maynard hit back at Premier Brantley’s post, accusing him of being willfully blind to the Insurance Politics and the dilemma of One Choice with respect to the MRI services. The government’s information Services issued a release on Thursday, quoting Founder of the St. Kitts Biomedical Research Foundation, Dr. D. Eugene Redmond Jr. as saying “Most research facilities and medical schools in the United States allow magnetic resonance imaging of both humans and animals on the same equipment using strict protocols for cleaning and sterilizing all exposed surfaces between such uses just as operating rooms are thoroughly cleaned and re-sterilized between uses. The government, through health Minister Hamilton has stated that it makes no sense for the government to want to purchase an MRI machine for the JN France Hospital or take control of the MRI Facility when private sector persons can earn a living from providing that service to the public.